Forking its way into open source legend. Apparently social media and new tech has reduced our average attention span from 12 to 5 minutes. Get ready to focus then, as understanding the genius behind GitHub will take your full attention – but it’s worth it to grasp the positive impact that GitHub has had on the full gamut of open source projects. Github is a collaboration and web hosting platform for software development projects. It allows users to review changes, make comments on code, report problems, and create development plans. And it allows developers to share their projects with the world, get support, contributions, and feedback from others, and contribute to other projects hosted on the site. 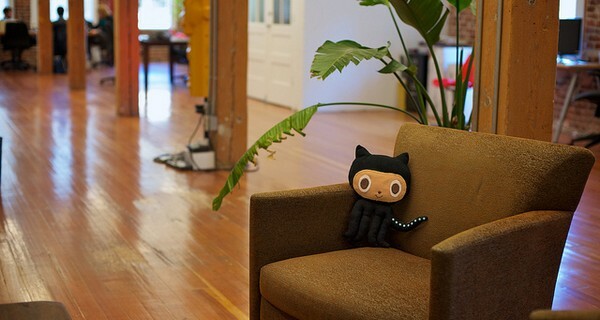 Github is the world’s largest open source community. But to understand why and exactly how it works you have to dig a little deeper. There are many platforms that help to manage and store revisions of a software project as it develops. This is essentially what GitHub does, but with a suite of additional features that are all designed to foster collaboration and make sharing as easy as possible. ‘Forking’ allows you to copy a repository of drafts of code from one user to another, so even if you haven’t been working on a project, you can easily gain access to the history of its development, giving you a detailed understanding of its evolution, where problems exist, and how previous glitches have been overcome. You can also then start working on problems and make changes, and easily share them by sending a ‘pull request’ to the original owner, who can accept them and easily merge them into the original file. Each of these features substantially reduce the barriers to collaboration as compared to competitor platforms. This is where the network effect beings to take hold – each pull request that gets accepted is added to a users online profile, creating a resume of sorts that shows other people in the network what that user is capable of and who they have worked with and helping them assess reputation. Launched in 2008 by Linux creator Linus Torvalds as an open source project, the site recently surpassed the three million users and now hosts over five million repositories for both private and open source projects.